A nanobot is an extremely small robot that operates on a microscopic scale. Originally spoken of in science fiction circles, there has been an increased focus on it in biological and robotics research. The term nanorobot was created by combining the terms robot and nanometer. Other common names for robots of this size include nanobots, nanomites, and nanites with sizes ranging from 0.01 to 0.1 micrometers. Currently, most nanobot research is being done in the medical and military fields. The more the technology develops, the greater the number of potential uses that arise. An alternative development for nanorobots is the interactions that a robot can accomplish on the nanoscale resolution with no restriction on the overall size of the robot. The two basic kinds of nanobots are assemblers and self-replicators. Assemblers are simple cell-shaped nanobots that may be able to decipher molecules or atoms of different types, and controlled by specific programs. Self-replicators are essentially assemblers capable of duplicating themselves at a large rate. This sort of duplication aids the building of large-scale applications or deployment of nanobots for large-scale tasks. Most science fiction movies depict nanorobots in a swarm, predominantly in medical or extreme military uses. 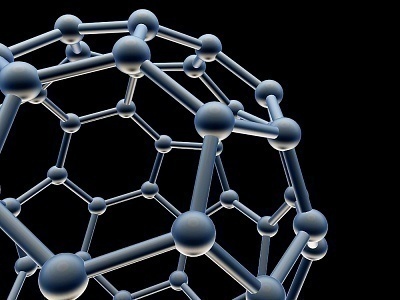 Some of these depictions are based on nanotheory that allows nanorobots to rebuild matter and to be able to create food, protein, or even other microprocessors if programmed appropriately. Another potential use for the technology is to use nanorobots to build new nanorobots in a self/automatic replication form, which can be coupled with swarm theories to accomplish tasks. Most nanorobot research is focused on the medical sciences. 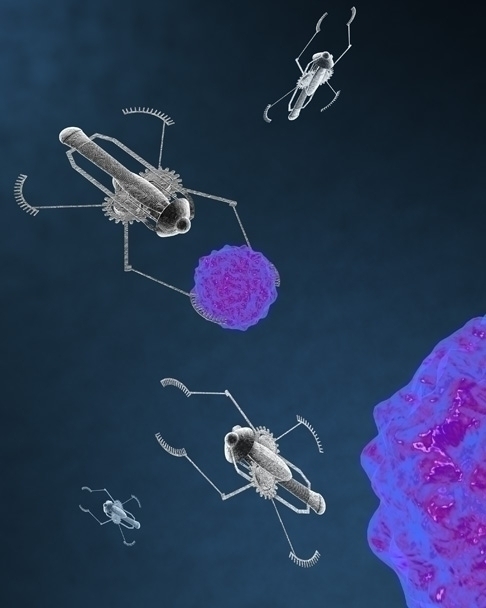 Since nanorobots can operate at the same scale as viruses, cancers, and bacteria, they hold the promise of being able to directly fight these intrusions to the human body, conduct health scans, or to ensure the body’s tissues and organs are working at its optimal level. Cancer patient could be injected with a specific type of nanobot that will look for and eradicate cancer cells. This sort of treatment will eliminate the side effects of hair loss, nausea and tiredness usually associated with conventional cancer treatment such as radiation and chemotherapy. Another good application would be to use nanobots to clear blocked arteries. They could also act as antibodies for patients with weak immune systems. Nanobots can also be used in electronics and manufacturing industries to build small form factor devices or large industrial installations. 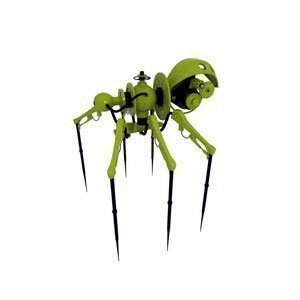 Nanobots can be used in environment cleanup initiatives such as cleaning of oil spills, toxic dump sites, polluted water sources and so on. What Are the Potential Military Roles of Nanorobots? Nanorobots research in the military is mainly focused on protecting individual soldiers while in combat. They can be used as an improved body armor that is capable of self repair if damaged. This body armor would not be the super suits seen in some recent science fiction films. Rather, they would be a generational leap in protective capabilities over the current body armors deployed to the field. Nanorobots will be used in the near future to rapidly repair injured people and damaged equipment on the battlefield and as eavesdropping devices that are practically undetectable. 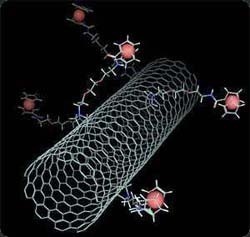 Nanorobots could prove to be one of the largest developments in war technology since the advent of the atomic bomb in World War II, due to the expected difficulty in countering the first weapons developed with the technology. send me picture from nanorobots. 109 queries in 0.422 seconds.